One Act Finalists for the All Irelands announced! The cast of ‘Selfie’ who won two awards in the One Act Festival organised by Muse Productions held in the Oakwood Arms Hotel last weekend: (l-r) Anne Germaine (festival director), Richard Germaine, Sean McInerney, Sophie Horan, Jenny Power, Aisling Gough, Clíodhna McNelis and Martin McNelis (festival host). 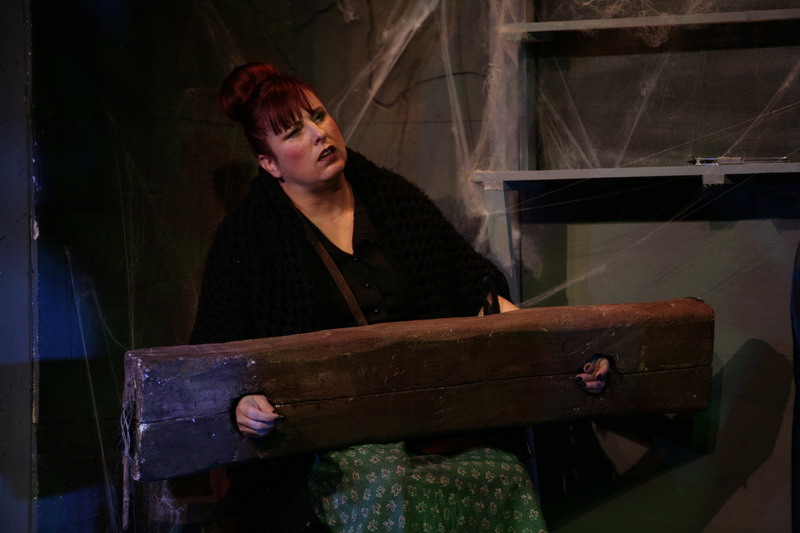 Other cast members were Molly Lynch and Aislinn Fennell. Shannon audiences were treated to a feast of the finest theatre over the last weekend as Muse Productions hosted their first ever One Act Festival in their theatre at the Oakwood Arms Hotel. In all, eleven drama groups from all over the country came together to compete in two categories for places in the All Ireland Finals which will be held this December in Ballyshannon. On the first night, two plays in the Confined section and two in the Open section were performed. Gorey Little Theatre brought Being Norwegian a study in loneliness and isolation, followed by Amphitheatre Company with Slow Dropping Veils of Smoke, which featured loss of identity. It was the turn of Cooraclare Drama Group next with their original comedy The Toolapooka Switchboard, a firm audience favourite. Following this Haulbowline presented Tom Stoppard’s The Boundary, a black comedy about three people working on a dictionary and mystery at the same time with much wordplay and malapropism. Friday night continued in equal variety with two more Open and Confined category plays. Doonbeg Drama Group brought a light Farce called What’s for Pudding, followed by Kilmeen with prison melodrama The Valiant. 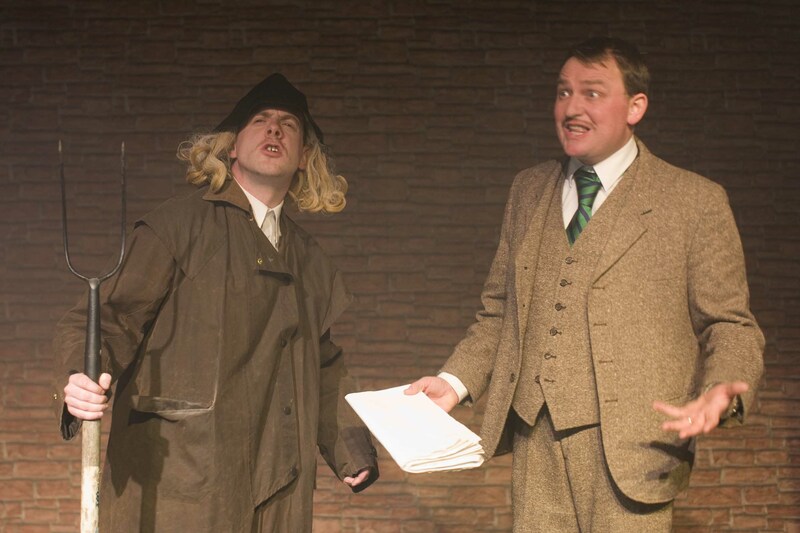 Coachford presented a ghost story of sorts in Faint Voices while Prosperous Drama Group rounded off the night with a wonderfully modernised comic version of Bram Stoker’s The Judge’s House. On the final night there were three plays, all in the confined section. First up was Selfie by Muse Productions featuring a very talented group of local teenagers who showed they can stand shoulder to shoulder with the best in a lovely exploration of the isolation young people can feel in a connected world. This was followed by a tour de force acting performance by Grean Drama Group with I’m not A.D.H.D. I’m B.O.L.D. and finally a quirky love story with a twist in Bualadh Bos’ production of The Furies. Adjudicator Brendan Murray, who hails from Galway by way of Dublin, spoke highly of the festival organisation and the standard and variety of the performances. Of primary importance for those hoping to reach the finals in Ballyshannon were the placings in each category. In the Open section, Kilmeen placed third, Haulbowline were in second place and Prosperous took top honours. In the Confined section, Doonbeg were in third place, Bualadh Bos second and Grean came out top. Several other awards were given at the adjudicator’s discretion, for Best Acting Performance and Best Director in each category, and an Adjudicators Special Award for any aspect he chose to highlight. The best director awards went to TJ Duggan from Prosperous in the Open and Willie Moriarty from Bualadh Bos in the Confined. The acting awards went to James Murphy from Prosperous in the Open and Elaine O’Dwyer from Grean in the Confined. The Adjudicator’s award went to the cast of Selfie for Best Ensemble Performance, the Shannon youngsters also won the Audience Award for their favourite play of the weekend. Best Actor Confined: Elaine O’Dwyer – Grean D.G. – I’m not A.D.H.D., I’m B.O.L.D. First Place Confined: Grean D.G. – I’m not A.D.H.D., I’m B.O.L.D. Starting time is 7.30 and tickets can be purchased on the door each night. Ticket Prices are €10 per night or €20 for the three nights. The cast of ‘Selfie’. Sean McInerney, Sophie Horan, Richard Germaine, Jenny Power, Molly Lynch, Aisling Gough, Aislinn Fennell, Cliodhna McNelis. With Halloween now behind us and Christmas looming in the near distance, what better time to get out and enjoy the best of drama from all over the country? 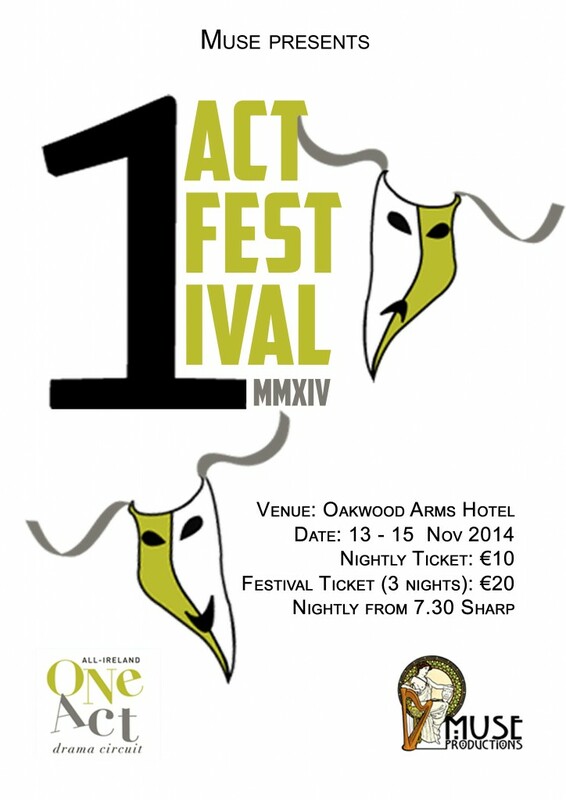 Muse Productions are delighted to be hosting their first ever One Act Drama festival in Shannon. For decades Icarus drama group had successfully ensures that the One Act Drama Festival was a part of the fabric of theatre here and Muse Productions are thrilled to be bringing it back. 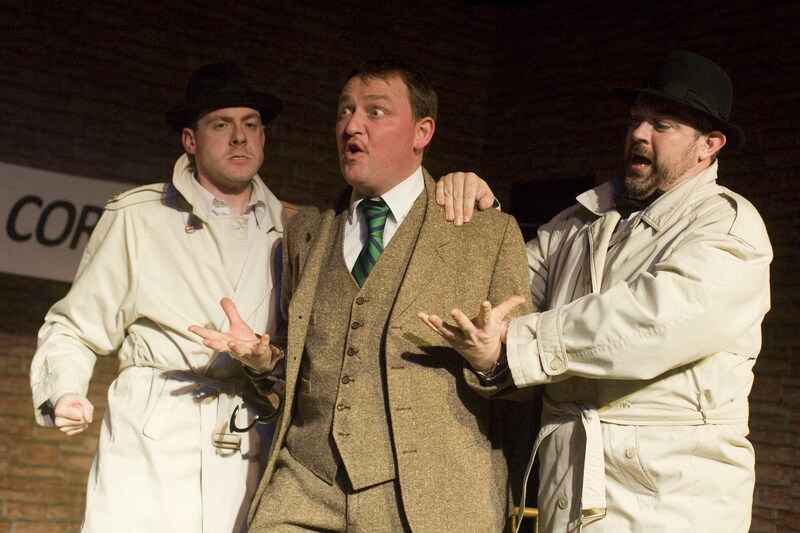 With the newly refurbished Muse Theatre in the Oakwood Arms Hotel, patrons will be able to enjoy the plays in comfort, with a cabaret style seating arrangement and a drinks service available in the main bar. The One Act Festival will welcome visiting drama groups from all over Ireland, including Wexford, Cork, Clare, Galway, Kildare and Limerick. Indeed the current holders of the All Ireland title, Prosperous Drama Group, title holders for the last two years running, will also be treading the boards here in Shannon this year. The plays will cover many diverse themes, including loneliness, ADHD, and the struggles of coming of age in a technology-savvy world. But fear not, there will be plenty of comedy to balance out the tragedy, and some love and romance to counter the disappointments and losses. Variety is the key word here, with groups performing in both the Open and Confined sections and competing for festival places that can carry them all the way to the All Ireland Finals. Among the performers will be a group of local young people taking to the stage for Muse in a play entitled Selfie. Directed by Clare McNelis this will demonstrate the wealth of talent among the youth of Shannon, many of whom are past or present students of Eclipse Stage School. The festival will run from Thursday 13th to Saturday 15th at 7:30pm nightly. Tickets are available for €10 at the door each night. A Festival Pass with admission for all three nights will also be available on the first night for the reduced rate of €20. There will also be a showcase of young talent on Wednesday night the 12th when students from Eclipse Stage School will join the cast of Selfie for a night of Youth Theatre, on a ‘Pay what you like’ basis. That’s right, no fixed price, just donate whatever you can afford, or come along for free. There will be two plays from the Eclipse Intermediate and Senior classes and a preview performance of Selfie.